Cambodia is a country located in South East Asia. After Thailand and Vietnam’s boom in tourism, now the spotlight is on Cambodia fortourists to come see and feel its wonders! This beautiful country is a popular destination for its great and untouched beaches, fascinating sites and temples, rich culture and history and of course, the people who always welcome their guests with warmth. But did you know that exquisite golf courses are also located here? Now is the time to experience the beauty of Cambodia! GolfPackages is offering you 2 types of packages depending on how long would you like to stay in this pleasant country. Have the chance to stay and play on one of their astonishing courses and hotels. To give you a better idea of what to expect, please see the details of the courses and hotels below. 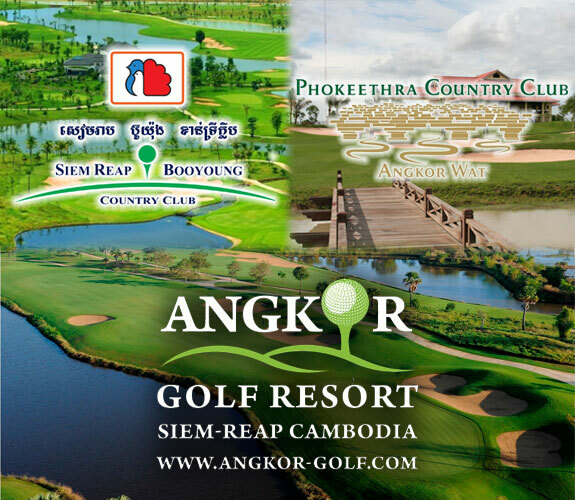 Phokeetra Country Club is a beautiful course in Siem Reap managed by the Sofitel Hotel Group. This was established in 2007 and was considered as the first true international standard golf course to open in the country. Phokeetra consists of 18 holes and is 7,327 yards long. This fantastic course is a challenging one that will truly test your strategic skills. Its fairways are beautifully manicured and well maintained. Aside from that, they take pride in their clubhouse and facilities to ensure that you receive a once in lifetime experience. The next course is will get the privilege to play at is the Siem Reap Booyoung Country Club, which was formerly known as Angkor Lake. It is consideredto be the third course that follows the international standard to open in Angkor Wat and was designed by none other than Kentaro Sato. This 18 hole- 7,396 yard course featuringbeautiful wide maintained greens and shimmering creeks that actually serves to be the most prevalent challenge on this course. You will also find every amenity that you at this course. Another course to experience is the Angkor Golf Resort. This wonderful creation is by, golf legend, Nick Faldo. It consists of 18 holes and 7, 279 yards. This challenging, yet fair course is one of the finest golf courses in Cambodia. All areas are in immaculate condition. All greens, bunkers and hazards were strategically placed for you to have an exciting game. Almost all golfers recommend that you should not miss playing here while visiting Siem Reap! 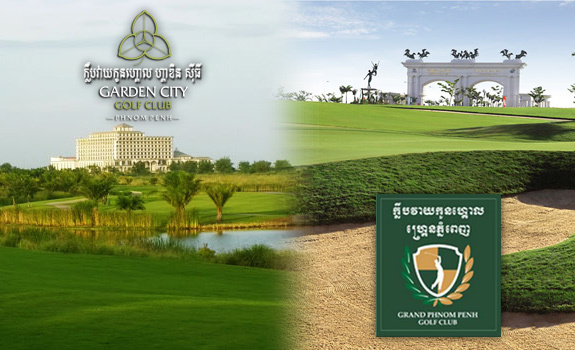 Garden City Golf Club, which is located in Phnom Penh, is the newest course to open in Phnom Penh (2013). The articulating designed course boasts 18 holes, and 7,291 yards elegantly infused with palm trees throughout. The course also has a massive clubhouse and hotel 140 yards wide. It also rightfully boasts its 5-star accommodations with world-class facilities and elegant rooms. 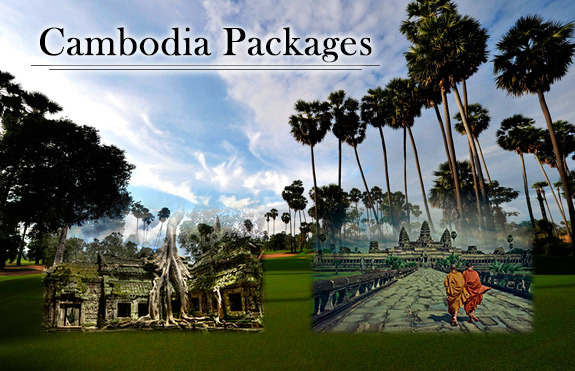 Lastly, this package would also add Grand Phnom Penh Golf Club. This brainchild of Jack Nicklaus is consisted of an 18 hole- 7,243 yard course. It is a private course with well maintained and precise greens. It is also well known for its challenging oval, kidney and clover-shaped greens. Hole 17 is really what makes this course a memorable one to every golfer because of its one of a kind and challenging design. Their clubhouse also has everything that you will need. So what are you waiting for? Act fast and book now! Regency Angkor Hotel. This 4-star hotel is composed of 170 guestrooms and has 3 restaurants in the facility. It is near the historic city of Angkor and has easy access to the international airport. Their interior and architecture are inspired by their significant ancient royal dynasty. Popular tourist spots such as Angkor National Museum and Shrine to Preah and Check are just within walking distance from this hotel. Angkor Miracle Resort and Spa. This 5-star hotel consists of 247 well furnished guest rooms, several food and beverage outlets and even a spa. This is also near the Cambodia Cultural Village, Lucky Mall Super Market and WatKasararam. Expect a very warm welcome from their hospitable and multi lingual staff. 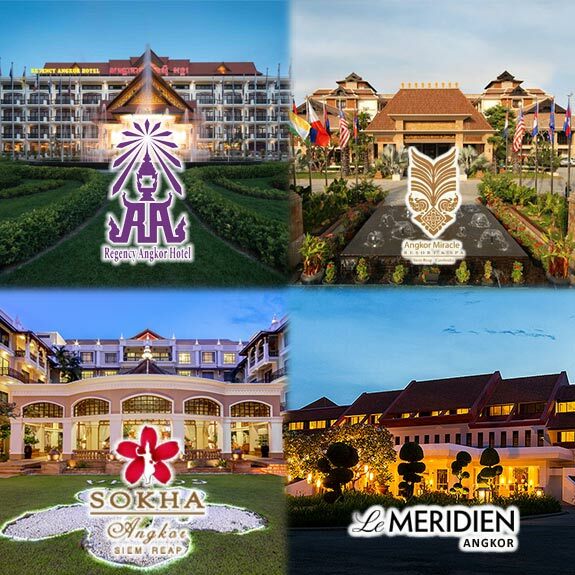 Sokha Angkor Resort. Another 5-star hotel located right in the center of the beautiful Siem Reap. It consists of 276 smoke free guestrooms and numerous restaurants that the guest may choose from. 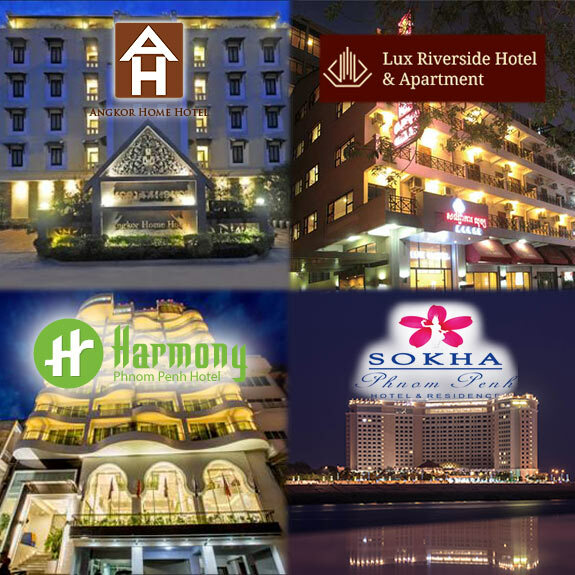 This hotel is conveniently near some of the popular shopping establishments like Lucky Mall Super Market and Angkor Shopping Centre. Le Meridien Angkor Hotel. This 5 star hotel is just 10 minutes away from Angkor Wat Temple. It consists of 223 guestrooms which feature the traditional Khmer designs with dark timber floors and rich silks. This amazing hotel also boasts their pool, spa and restaurants to add thrill and fun to your experience! Angkor Home Hotel. This 4 star hotel is also located just outside the busy downtown of Siem Reap. They take pride to their 84 cozy hotel guest rooms that all offer a peaceful and serene atmosphere. To add up, this hotel also offers a complete range of massages and a bar that overlooks the nice gardens and pools to ease you into relaxation. Lux Riverside Hotel. This 4-star hotel with 102 guest rooms is also located at the city center and is a short 20 minute walk from different popular tourist spots like Wat Phnom. A wide array of restaurants and bars are also located within this area. Exceptional service from their staff is also one of their products. You’ll truly get the value for your money. Sokha Phnom Penh Hotel and Residences. This 5-star luxury hotel and condominium has 523 elegant and spacious rooms. This hotel offers a breathtaking view of the Royal Palace which is just across the road as well as the calming view of Chaktomuk River. This one of a kind hotel presents you a very homey feel and vibes since it is located on the less busy side of the district. Note: Minimum of 4 golfers to avail this package during lean season only! Siem Reap is a direct flight away from Manila. You may take Philippine Airlines and low cost carriers such as Cebu Pacific and Air Asia to get there. Looking forward to your Cambodia golf holiday? Let Golfpackages take care of it! Send us an inquiry at inquiries@golfpackages.ph . Thank you!